Did you ever have a planned hospital stay? How about an emergency one? Does anyone close to you know where to find your personal and household information: automatic charges on your credit card for newspapers, EZ-Pass, insurances, living wills, retirement accounts, important contacts? 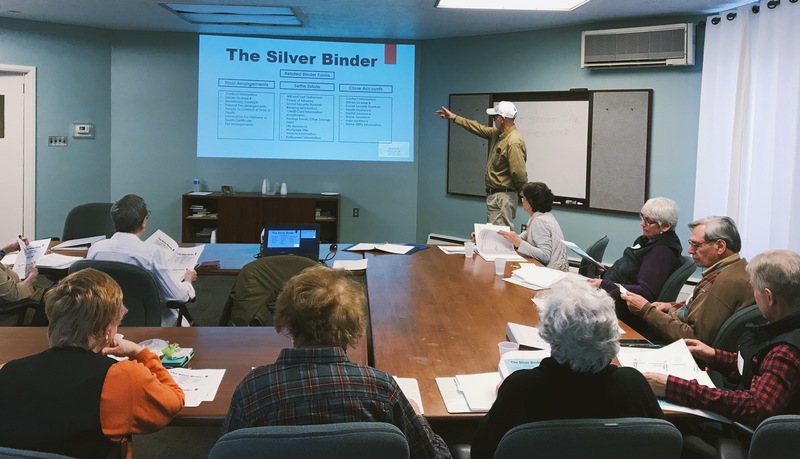 Penn’s Village volunteer, Mario Oropeza, has the solution in his workshop that will help to get you started on what may seem like an intimidating task: organizing the vital details about your contacts as well as about your legal, health, and financial affairs. Registrants will receive a three-ring binder that contains guidance and blank forms. The cost of the binder for Penn’s Village members and volunteers is $20 (to cover binder and printing expenses); $30 for other guests, payable at the event. * There is no program charge for Penn’s Village members and volunteers. We will meet in the Community Room at The Society Hill Towers, which is located at 261 St. James Place. The entrance to the community room is in the small shopping area at the intersection of St. James Place and Philip Place (between 2nd & 3rd and Walnut & Locust Sts., behind Zahav restaurant.) The room is handicapped accessible. Please register here or call (215) 925-7333. *People who do not wish to purchase the binder at the event may purchase them later through Penn’s Village. They will need to call Penn’s Village in advance to arrange for the pick-up; payment due at time of pick-up.